Please indicate Juneau Housing First in the message section. The Juneau Housing First Project will create 32 permanent supportive housing units that target Juneau’s highly vulnerable chronic homeless population who are chemically dependent and exhibit an extensive history of emergency service utilization. Many of these individuals have co-occurring disorders, such as substance abuse and mental health disorders. The project will provide safe and secure housing to residents in order to facilitate dignified lives, a healthy community, and will provide significant cost savings to the community. This $7.3 million project has been under construction since last spring and expects to open its doors in June 2017. The Juneau Community Foundation is working with the Collaborative to raise the last $200,000. The Juneau Housing First Collaborative is a powerful example of a community effectively pulling together to address a critical social issue. Juneau’s Housing First Project received a $100,000 donation from the Stanley Reitman Foundation. The Reitman Foundation chose to donate to the Housing First Project because trustees believe it is something trust founder Stanley Reitman would be proud to support. The Benito and Frances C. Gaguine Foundation has made a $45,000 matching grant pledge for the Juneau Housing First Project. As of March 22, 2017, we have raised $40,087 of the funds, please help us raise the final $5,000 so that we can finish this project on time and open the doors in early summer! Along with the physical health and safety benefits for the Juneau Housing First Project residents, this project will provide cost savings and other community benefits, including:JUNEAU POLICE DEPARTMENT: Decrease in police contacts, especially in downtown corridor. ed and secure front desk area. The project also includes space for the Front Street Community Health Center that provides integrated primary health care, mental health care, and substance abuse treatment services to all in need. The space will include five medical exam rooms, one room for mental health counseling, dental room with two dental chairs, and administrative office space. The project will also include space for other local non-profit agencies and interested retail partners. In Juneau, there are currently no permanent supportive housing options for this population. All other housing options require abstinence or compliance with treatment (JEDC Housing Needs Assessment). With few housing options available, this population has endured extensive periods of homelessness and utilized a high volume of community services through the Juneau Police Department, Fire & Emergency Department, Bartlett Regional Hospital Emergency Room, Rainforest Recovery Center, and Lemon Creek Correctional Facility. In 2012, the Juneau Housing and Homeless Coalition conducted street outreach efforts to understand this population. Outreach included use of the vulnerability index survey that noted that 40 of 55 people were deemed vulnerable – having a 3 to 4 times greater chance of dying prematurely. Residents must have lease agreements and tenant protections. 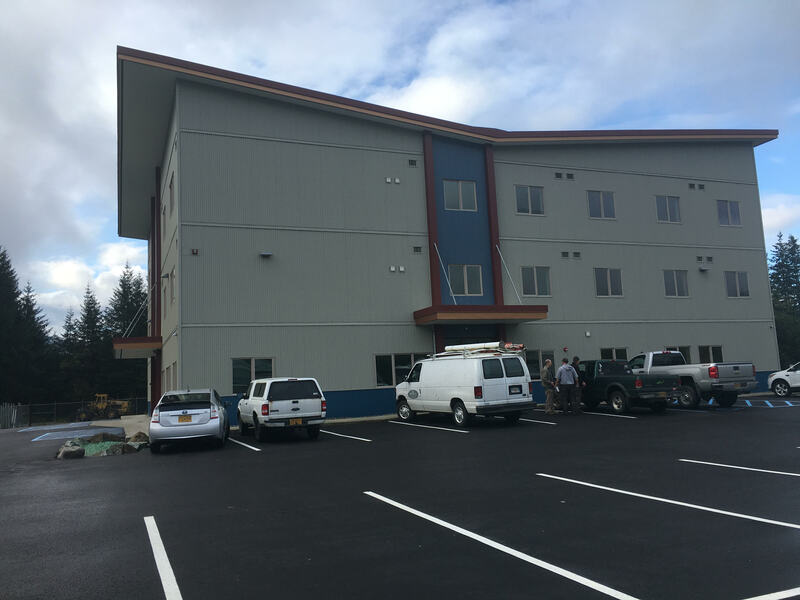 Tlingit-Haida Regional Housing Authority has offered property for the project – 1.25 acres of flat, commercial property with a 100-year lease valued at $1.2 million dollars. The Juneau Housing First project will rely on a combination of funds from state and local government, private foundations, and individual contributions. The Juneau Community Foundation has established the Juneau Housing First Fund for local and private contribution. For more information call (907) 523-5450. Click here to see the Juneau Vulnerability Index Survey results. The Juneau Vulnerability Index was completed in March 2012 to identify the most vulnerable homeless persons who were often not included in the annual Point in Time Homeless Count and Project Homeless Connect.